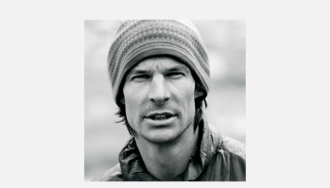 Steve House called today and shared the latest news from Makalu. He and fellow Patagonia ambassador Marko Prezelj finished their acclimatization and spent some time on the west face where the weather didn't cooperate all that well. But the forecast is improving slightly so the duo are going to head back to ABC and give the west face another go tomorrow. Let's all wish Steve and Marko good luck and safe climbing. We'll update you again as soon as possible. To see Steve and Marko in action, check out their 2005 video Cayesh: The Calling.